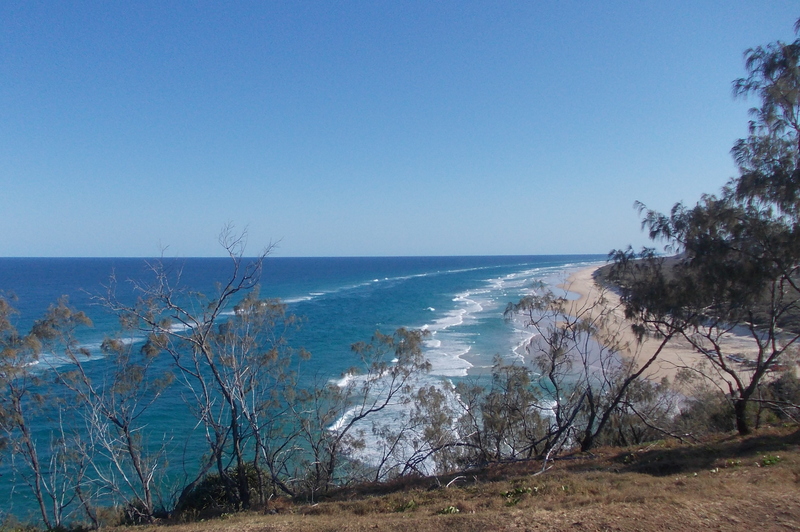 Fraser Island is one of Australia’s most protected places, and there’s a lot to protect: the world’s largest sand island; the purest dingo population in the country (no cross-breeding with dogs); and a popular spot for sharks, whales, and dolphins to shelter near. All these natural wonders make it a popular tourist destination, of course, which means it’s a tricky balance between conservation and promotion. It’s a big place for fishing, camping, and four-wheel driving. 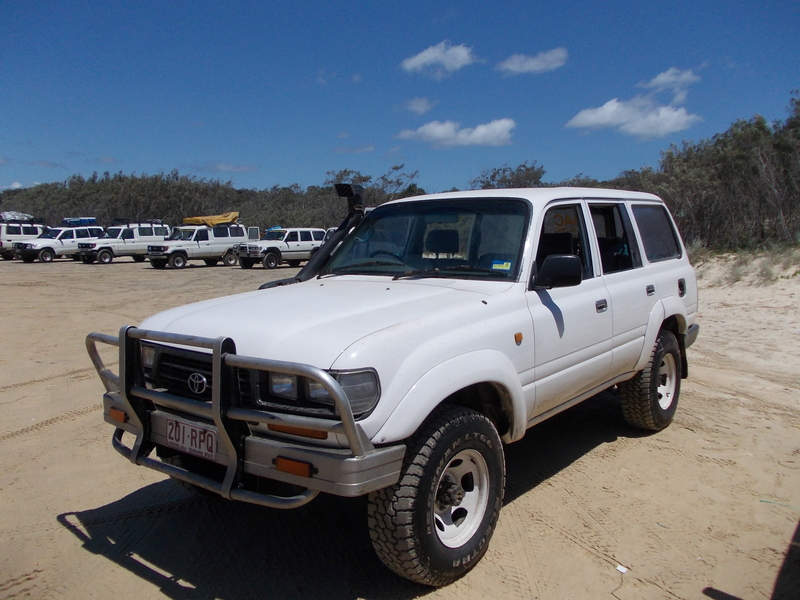 I went on a three-day, two-night 4WD tour, which turned out to be one of the worst, and occasionally the best, tour I’ve been on so far. Of course, I was a little run down after my No Good, Very Bad Day, and really I should’ve just spent a week sleeping, but I was sure new sights would be the perfect cure. So I watched the safety video with the rest of my tour group, packed up a small bag with a few things, and waited outside the hostel for our 8am departure. We were split into four groups of 8 and assigned to our 4WDs. My group had a couple young German guys, a British/Scottish couple, a Swiss guy and German guy traveling together, a British woman, and me. 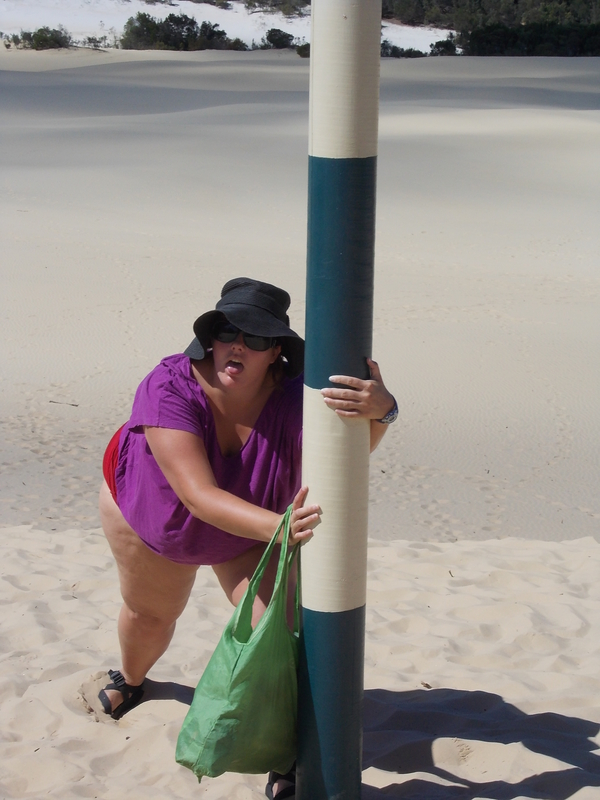 Pretty representative of the national makeup of tourists I met in Australia, actually. After a short introductory speech from our unsmiling guide, we squeezed into the cars and set off in convoy to the ferry pickup point. 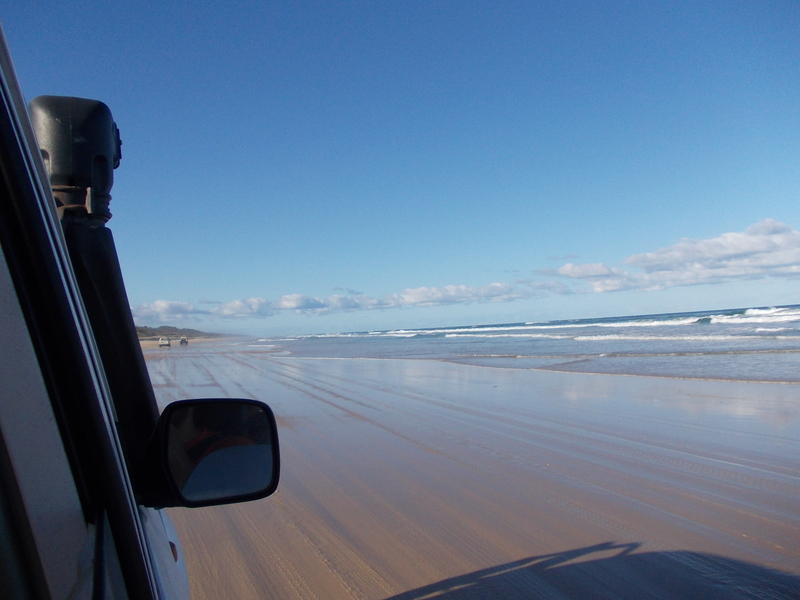 The thing about the 4WD tours, see, is that four vehicles drive together in a group, with a guide driving the front one, and the tourists driving the other three; it’s called a tagalong tour. 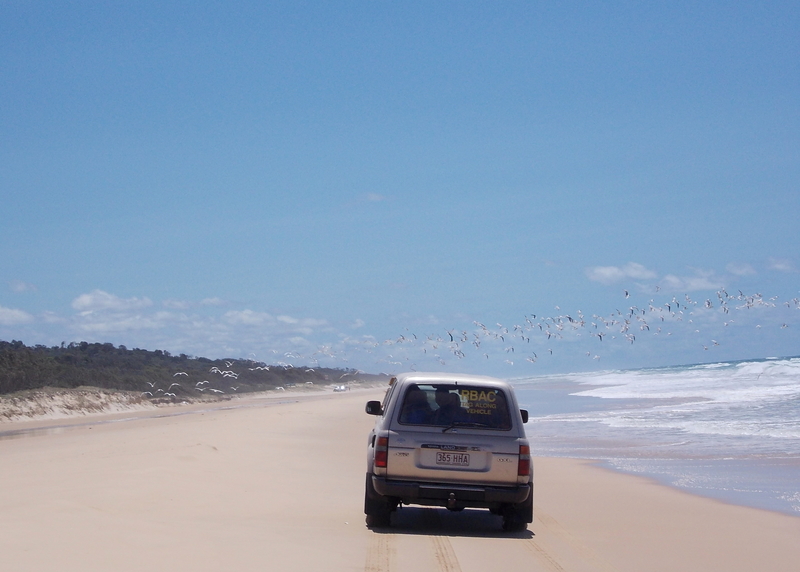 Fraser has very few roads, and most of the time you’re driving directly on the sand (thus the safety video, which had a lot to say about how to drive through hard sand, soft sand, wet sand, etc.). 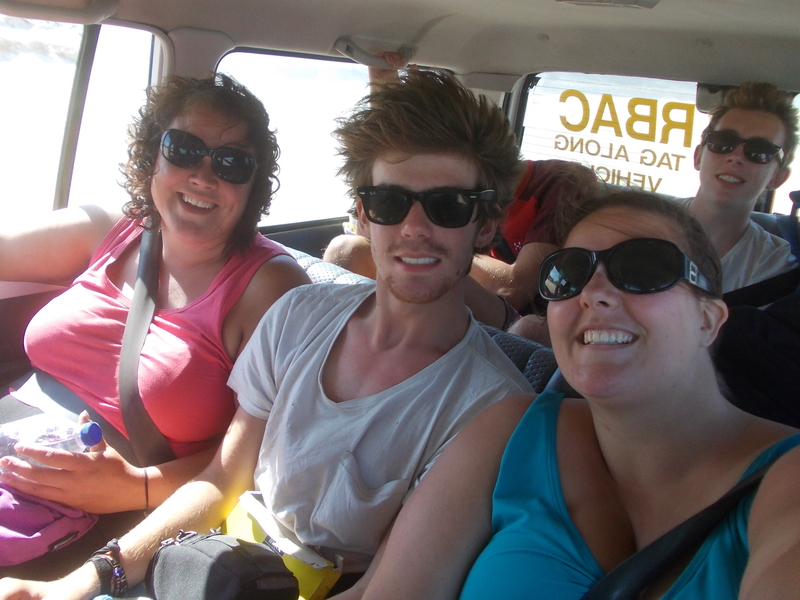 It’s a bit mad, to pile into a car with a 19-year-old behind the wheel and let them drive you around the wilds of a sand island, but I was ready for a little non-bus touring. It was no holds barred from the start; our driver got stuck in the sand just a couple kilometers off the boat, and the guide had to talk her through maneuvering out, and soon after that, the guide’s trailer, which had all our food, broke down, so he left it behind. We drove out to Lake Wabby, and our guide gave us some garbled instructions on how to get out to the lake and back, and then he drove away to fix the trailer. It was quite the walk out there, and it was a very hot day, so good thing some of the walk was in the forest. 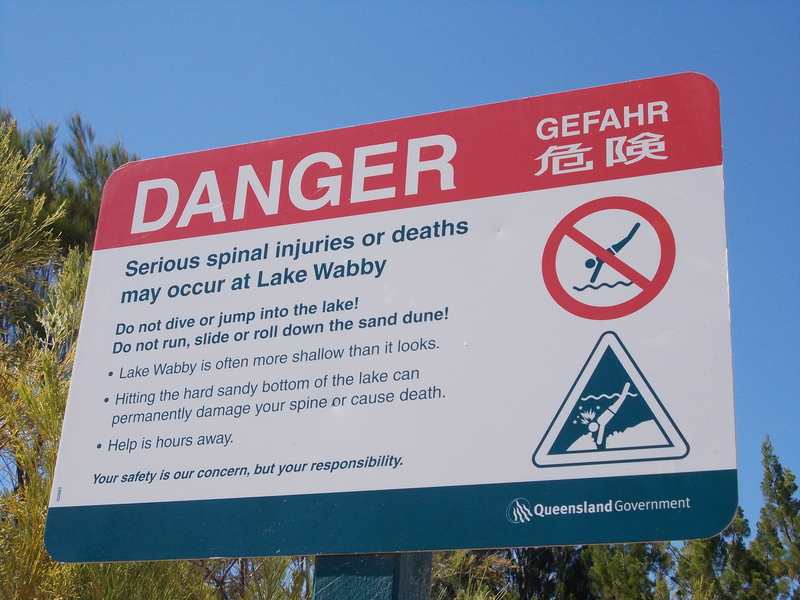 We got to the sand dune that looked down into the lake, but heeding our guide’s warning about the many people who have impaled themselves on hidden branches in the water, we did not run straight down. I needed another swim after that! But the safety video, the manager of the hostel, and even our grumpy guide had all impressed upon us the extreme riptides of the island, and the danger of getting in the ocean for even a few minutes. Instead, I cooled off on the ride down the beach, hanging my arm out the window and grinning out at the golden sand and blue water. 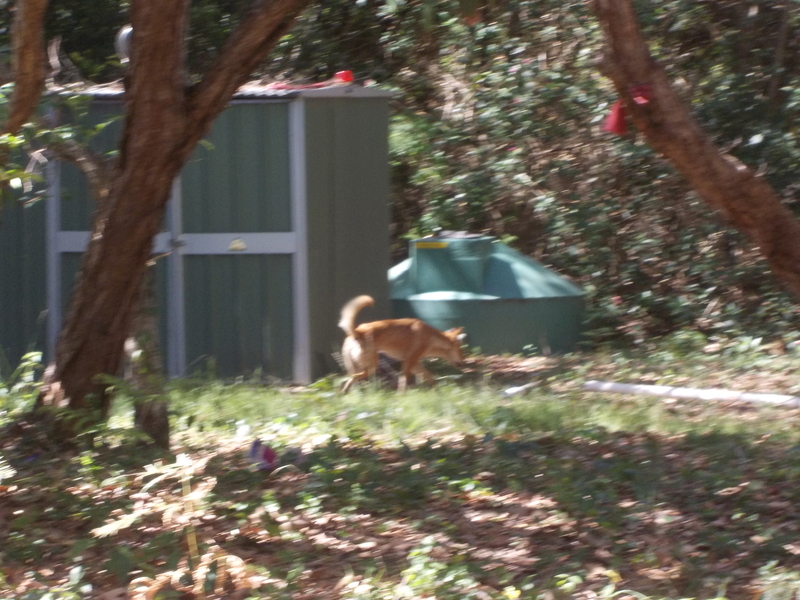 The camp had no fence around it, which meant dingoes could come and go as they pleased. We were warned never to go anywhere in camp without two other people, so that if dingoes followed us, we could all stand back to back and not be surprised by any jumping on us from behind (which has happened before). For the rest of the night, people were calling out for dingo buddies to make trips to the bathroom with them, and of course the more the guys drank, the more they decided they didn’t need any buddies. Luckily, no one got mauled, but we did see dingoes both nights, darting through the shadows and even trotting down the main camp road like they owned the place, so I never took the risk. They look like underfed house pets, but they’re wolves ready to attack if they don’t like the way you move. No babies were harmed in the taking of this photo. Here’s the part of the tour that contributed to it being the worst: we’d had strict warnings not to move any wood because this is a national park, but when the firewood we’d brought with us didn’t have enough kindling to satisfy the guys building the fire, they scrounged wood from around the camp. Our guide just watched them, not saying anything. Way to care, dude. Also, there had been no indication when I signed up for the tour that it would be such a party tour, and when the sound system stayed on until 3am both nights, pumping out dance hits while I tried to sleep, and we had to get up at 6:30 the next day, I was more than a little displeased. You can understand that I was in a less than great mood the next morning, running on three hours’ sleep and surrounded by hungover teenagers. But we started the day at a little creek, which revived my spirits. A short walk takes you to steps down to the creek level, and you can get in and walk through it, or float (but watch out for stray tree branches) down to the beach, where it opened up big enough for the guides to pull a net across it and get a volleyball game going. Floating down the creek was so fun that I did it three times. 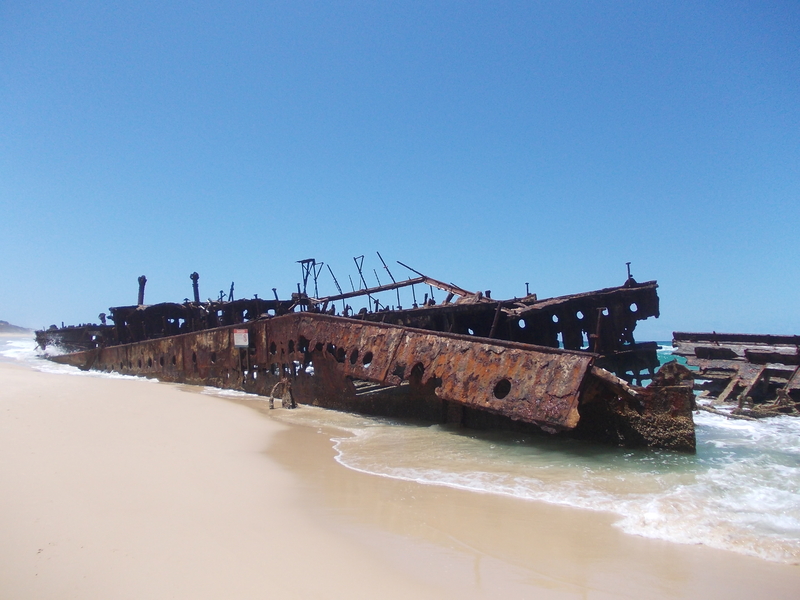 We stopped at the shipwreck of the Maheno, which was a swank cruise ship that got caught in a storm on its way down the Australian coast in 1935 and washed up on the shore here. 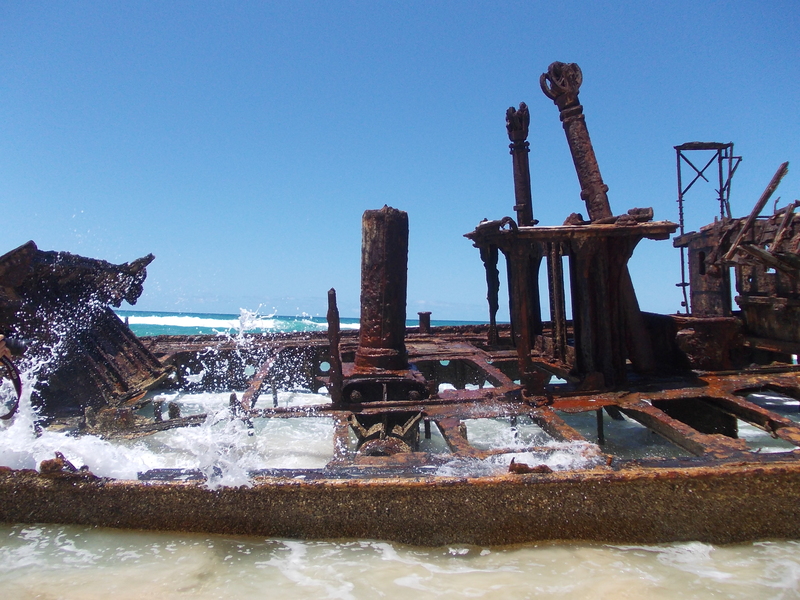 It was a little eerie, this giant, rusted wreck with nothing but blue water and golden sand stretching out for miles on either side. Of course I sang “The Wreck of the Edmund Fitzgerald” to myself as I walked around the Maheno. Our group had changed up a bit, with some people trading out to the guide’s car and others coming to ours so they could have a chance to drive. The car was tense, as the guys mostly wanted to go as fast as they could, and do as many donuts and tricks as they could, and the girls mostly wanted to not die. Our next stop came at the right time, before there was an actual fight, and everyone split up to explore the Champagne Pools. 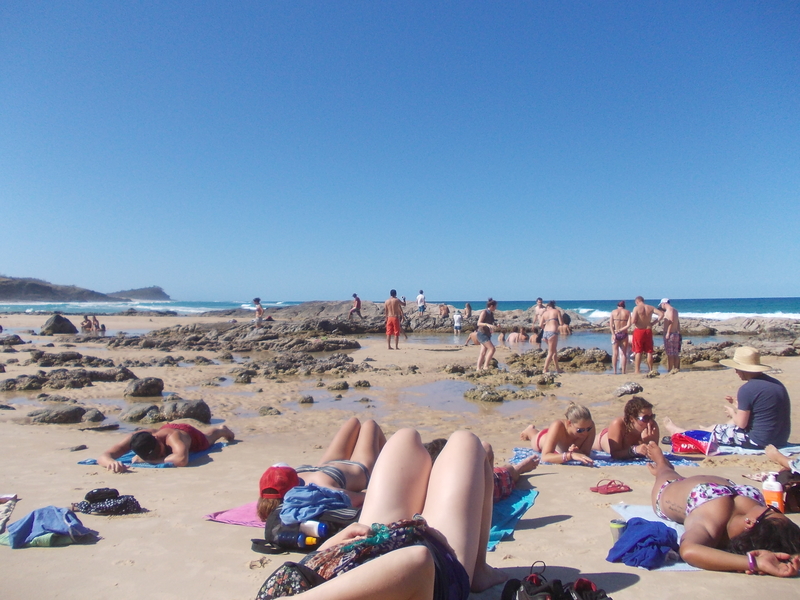 These are tidal pools that bubble like the beverage they’re named for, and are quite warm, so you sit in them comfortably and look for wildlife out in the ocean. Apparently there was a small shark swimming around in the pools, but I didn’t hear this until after I’d already been in them. I’m glad I didn’t find out by getting nibbled on! 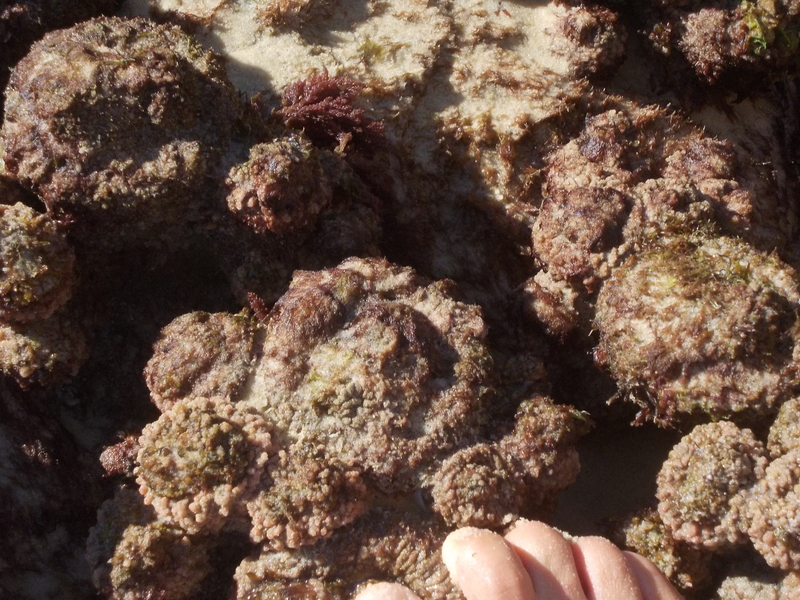 These…algae? were neat–if you pressed your toe against one, water shot out, like a fountain. Our last stop for the day was Indian Head, which is a strange name for Australians to give a rocky peninsula. (I checked, and apparently Captain Cook called it that for the aboriginals he saw assembled there; they just called every brown person they saw “Indian” back then, I guess.) We scrambled up the hill and looked out to the sea. We saw sea turtles and dolphins, and when I saw people pointing excitedly in the far distance, I briefly saw the end of a tail and a splash from a whale. It was beautiful up there, with the coast curving away in either direction, and sea animals frolicking below, and the sun was thinking of setting so everything started to have that golden glow. We couldn’t stay past sunset because it was hard enough driving those cars in daylight, let alone in the dark, but I bet sunset up there is beautiful. My photos don’t show all the sea turtles and dolphins we saw. We went back to camp and set up dinner, and that night was more of the same partying. But I found a couple people who wanted to go look at the stars (which were hard to see in the trees of the campground), so we went down to the beach. The stars were amazing! We sat on the cold sand and gazed above us at the endless sky. On the walk back, we were convinced we saw dingoes in every bush and behind every tree, so we grabbed some sticks and hit them on the ground in a futile attempt to feel safer. We survived the trip back, but being that vulnerable in a wild place was wonderfully scary. The next morning, things finally gelled. Sometimes that’s the way, isn’t it? Things aren’t quite right til the last day. We had a little more rearranging between cars, and now our group had a good mix. One of the new guys and I had talked about music for an hour the night before, so we assigned ourselves co-DJs, and traded our iPods back and forth, picking just the right tunes for the road trip. 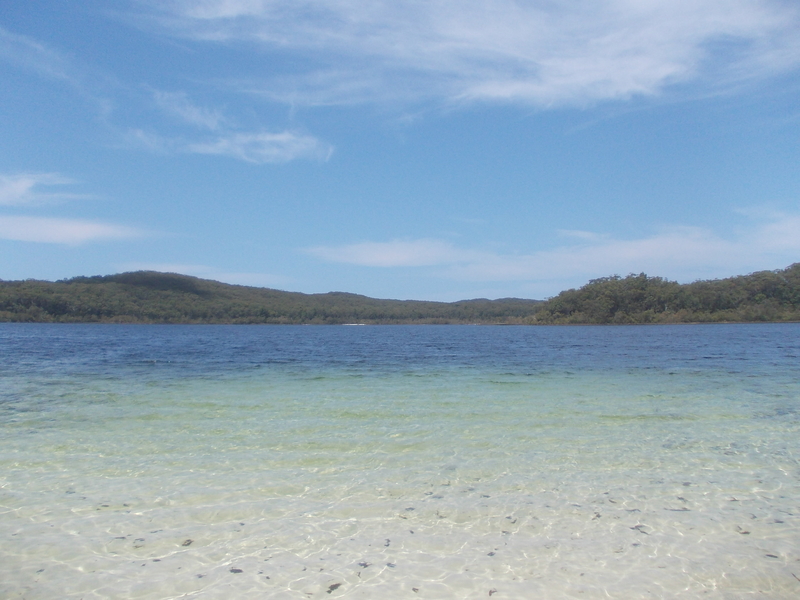 We stopped at Lake McKenzie, which is apparently a big draw for its clarity and beauty, but frankly (and I swear I don’t do this kind of comparing on my trip, for the most part), Glen Lake is much clearer and prettier. I was happy when we were back on the sand, cruising down the beach and getting the whole car singing along to Queen at full volume. This is what the tour is meant to be like, I’m sure, and I’m glad I got to experience it, and wasn’t left with the grumbling and discomfort that was the driving on the first two days. 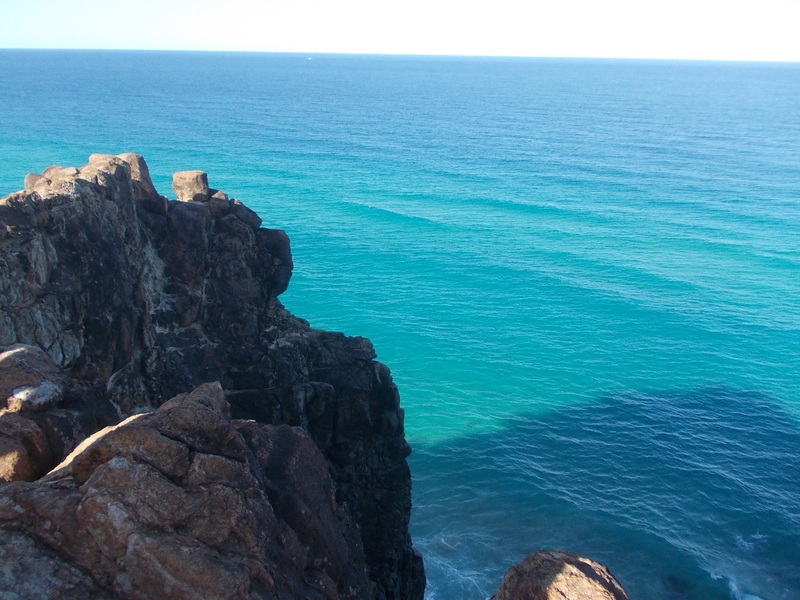 No denying it’s pretty–and it was a good swim, too. We missed the first ferry back to the mainland, which turned out to be a great thing. Jack and I put the music on loud and everyone got out of their cars and bopped along. Some guys made a human pyramid. And then we saw dolphins! A few of them, close to shore, jumping the waves over and over again. What a delight. But the trip couldn’t end on that nice note, of course not. When we were literally two blocks away from the hostel, we got pulled over. 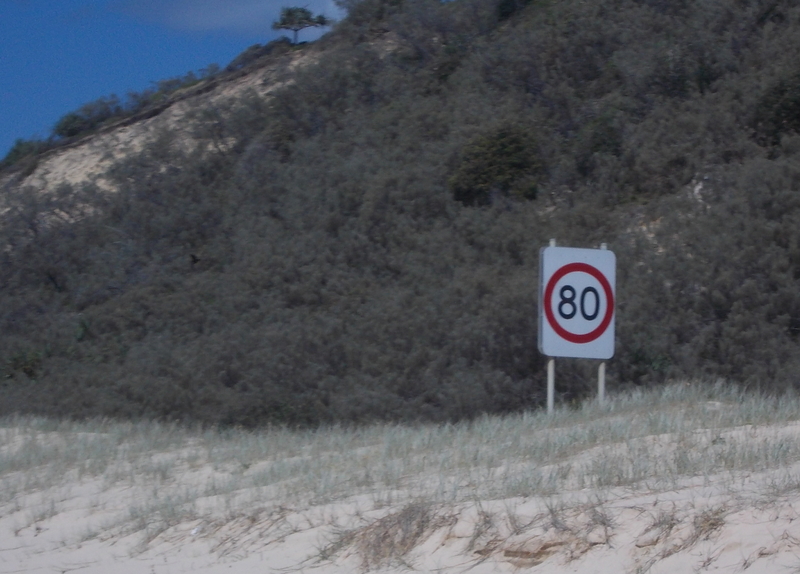 The local cop was furious that we had “limbs protruding from the vehicle.” Turns out, that is illegal in Queensland! Each arm hanging out the window (including mine) would cost $120 each, and the loud music might cost the driver $200 too. He kept saying he was “sick and tired of scraping the bodies off the roads,” but I call BS on that. When was the last time someone waving their hand in the wind actually resulted in that hand getting chopped off by a stray tree branch or whatever? Still, we were very contrite, as one is with police, but he was still going to give us a ticket, until he discovered that none of us was an Australian citizen. He knew we had no incentive to pay and he’d never get his money, and clearly decided the paperwork wasn’t worth it. Phew! I think I would have quite liked doing a similar tour with a smaller group of people, maybe just renting a 4WD with people I knew and liked, and staying in a quiet campsite. Fraser is a beautiful place, and you’re really in the bush for most of it, so if conditions are right, I can see it being a great time—all fun, no frustration. 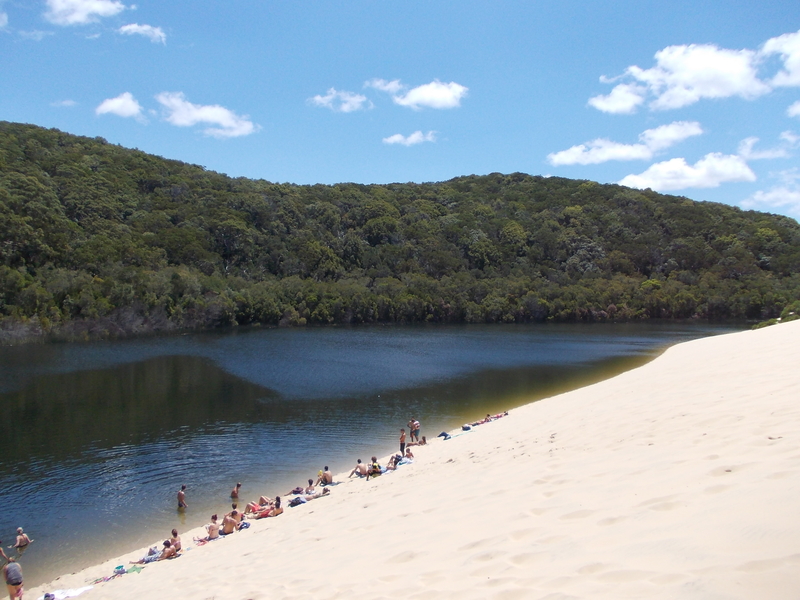 This entry was posted in Australia and tagged 4WD, camping, Champagne Pools, dingo, dingoes, Fraser Island, Indian Head, Lake McKenzie, Lake Wabby, Rainbow Beach by lisafindley. Bookmark the permalink. Wow, Lisa! WHAT an adventure that one was! I just love that you find all of these strange (to us) tours and trips – what’s your method for finding them? Web-sites? Word-of-mouth? Bulletin boards? Travel agencies? Tourist bureaus? 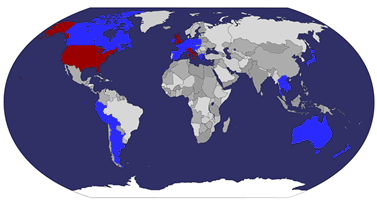 Some of your travelling readership would like to know! Your stories make my day – Thank you again. Oh no, these tours were talked about in all the many booking places on the main drag in all the towns. And if you don’t go to a booking place, you’ll hear people talk about the tours at a hostel. having a ball following all of your adventures! Glad to have you along for the virtual ride!